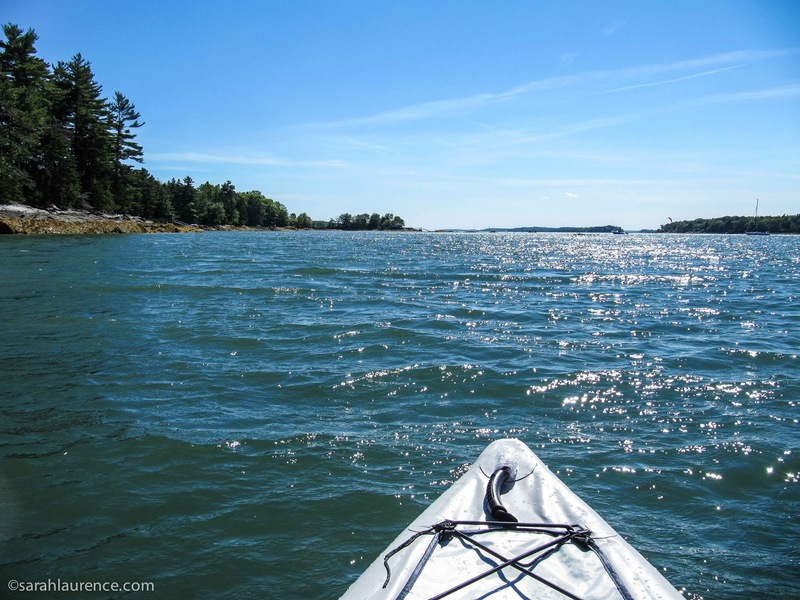 Maine is best seen from the water, but I've never been totally convinced about kayaks. 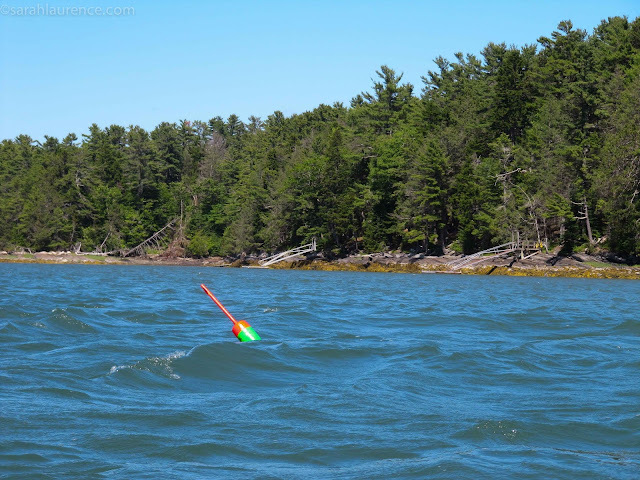 I rowed intramural crew at college, spent a summer aboard a Zodiac photo-ID-ing dolphins in the Gulf of Mexico, and have enjoyed canoeing in Maine lakes. However, none of those boats were designed to roll upside down. An emergency "wet exit" sounds too much like a watery grave. As a writer/artist, I have an over-active imagination, but I'm also drawn to the beauty of the sea. When my son asked for an inflatable double kayak for his birthday, I offered to join him on his inaugural launch. His Sea Eagle reminded me of a Zodiac (minus a motor): stable, comfortable, and surprisingly easy to steer. 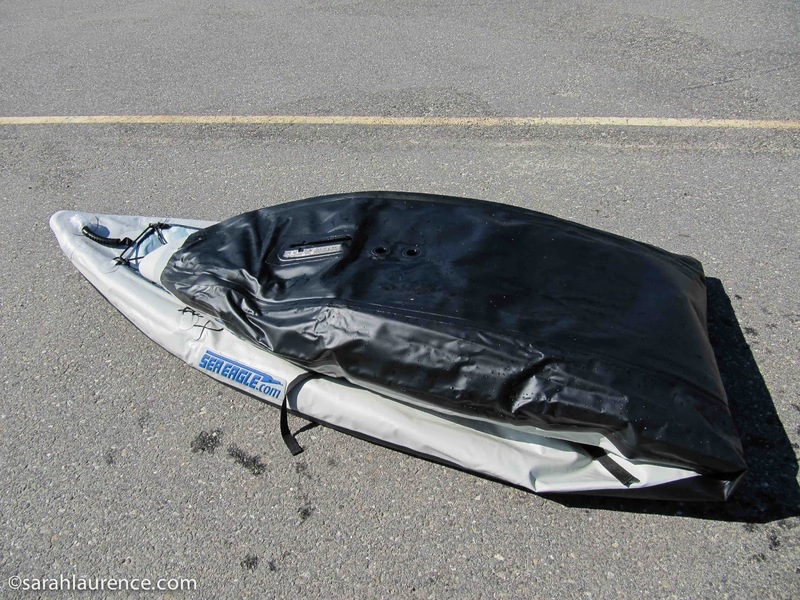 The open hull is self-bailing so doesn't require a spray skirt, and best of all, this boat was designed not to flip. Since it was near low tide, we left from our town's boat launch. The hardest part was maneuvering around the moored boats between gusty wind and rocking swells. My arms ached until my son reminded me to pull from my core and brace with my legs. The best thing about a double kayak is easy conversation. Soon enough, my body relaxed into the rhythm of paddling. 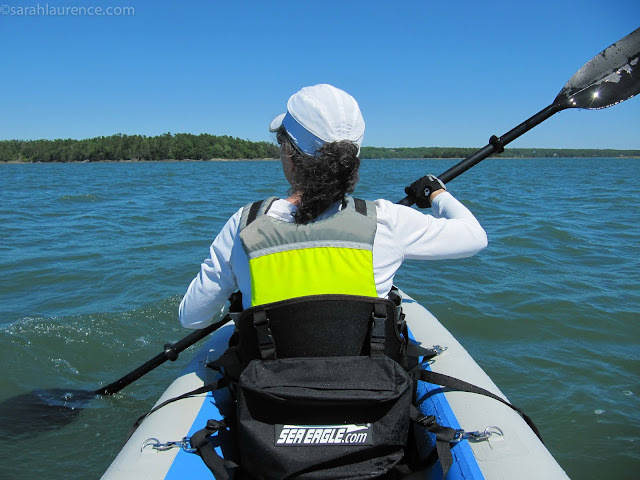 A kayak can't be beat for birdwatching. We saw an osprey defend her nest from a hungry bald eagle. The pictured hero above is the speck flying by the tallest tree; I brought an old point-and-shoot instead of my DSLR camera on this salty voyage. Even my dry bag got a bit damp. 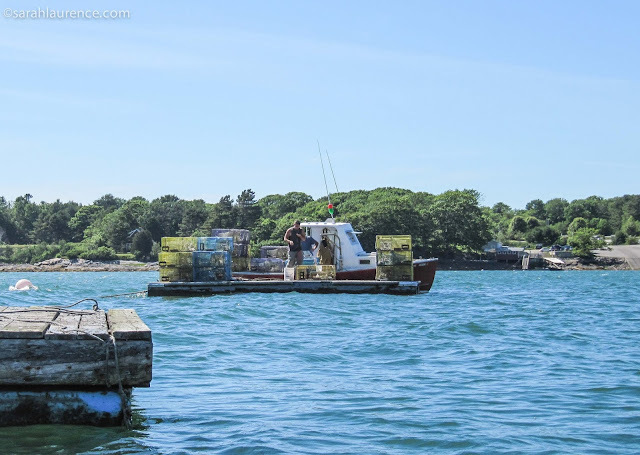 We paddled past lobster fishermen loading traps from floating docks onto their boats. June is the start of mainland lobster season in Maine, following the annual migration from deeper waters. During the winter and spring only outer island residents and fishermen with deep sea permits can set traps. This sustainable fishery is well regulated in my state. 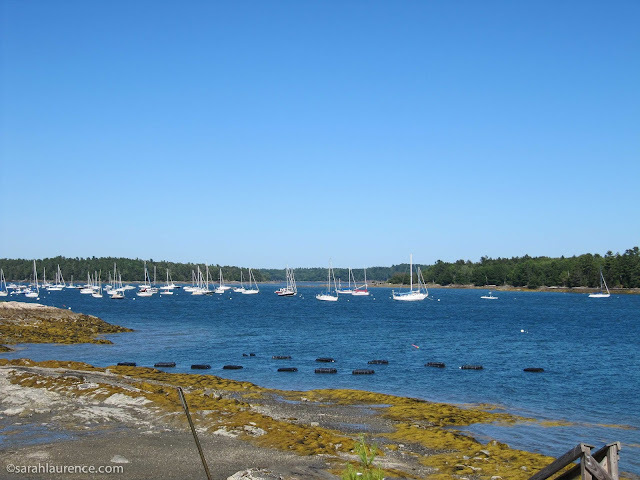 Multi-colored buoys (lobster pots) distinguish lines of traps and are matched to a fisherman's boat (paired photos above). 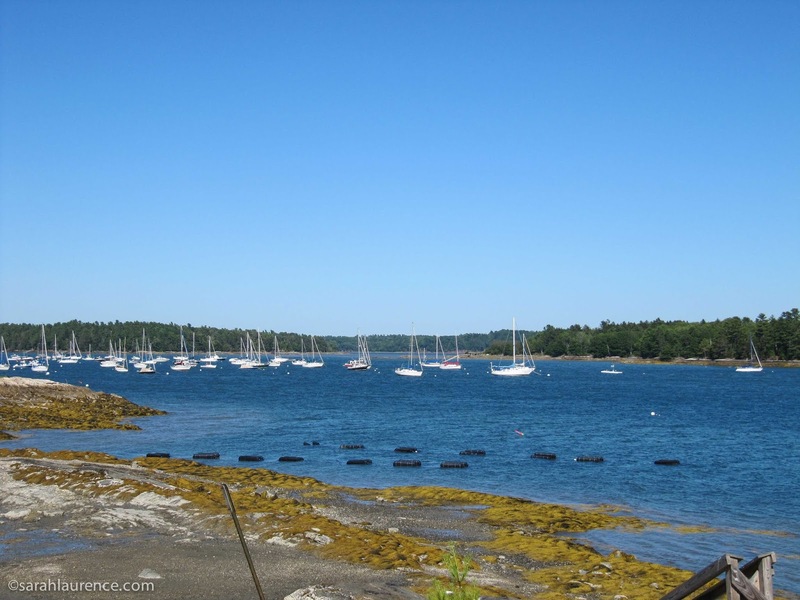 The marine patrol enforces strict catch rules to protect breeding females, small young lobsters, and big lobsters. 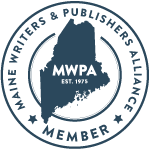 To research my YA novel about a teen lobster fisherman, I went out lobstering with a pro, joined a marine patrolman on his rounds, and spent a week in a boat house on a remote island with a one-room schoolhouse. Despite the high risks, I understand why fishermen choose to work at sea. The view from the bow was so gorgeous that all my worries melted away. I felt carefree and gloriously alive. Photos cannot capture the pungent scent of the ocean and the sparkle of the waves. 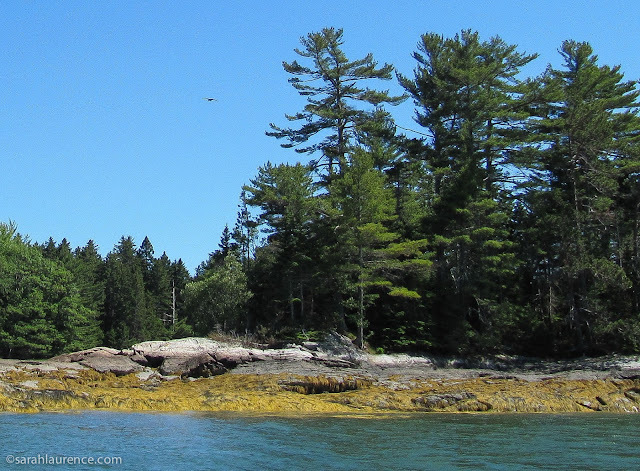 My spirit animal must be a porpoise or an osprey, but not a thieving bald eagle! Too soon it was time to come ashore. My son's Sea Eagle weighs about 42 pounds (much less than regular double kayaks) and only took a few minutes to semi deflate. It took my son about 15 minutes to assemble and to inflate the first time. 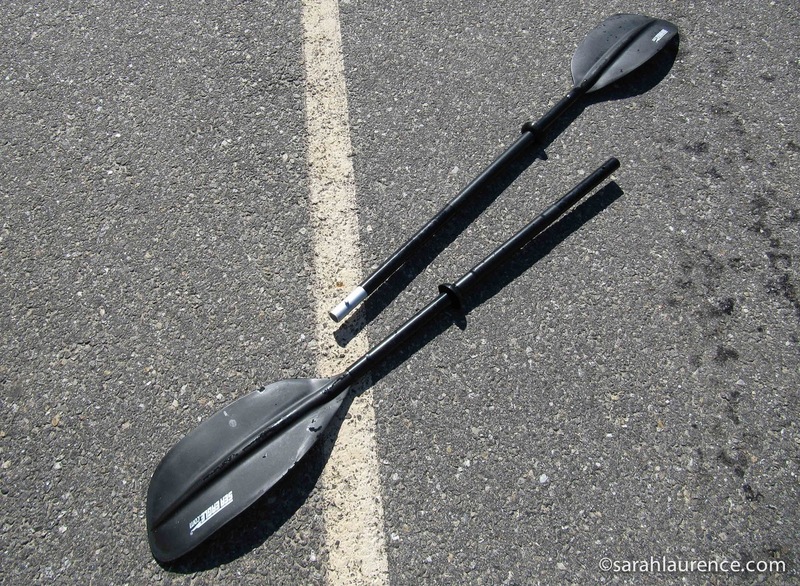 The oars snap in half to fit beside the folded boat and its foot pump in the back of my 2002 Subaru Outback with plenty of room to spare. There was no need for a roof rack, which is a big plus for a short woman with a bad back. 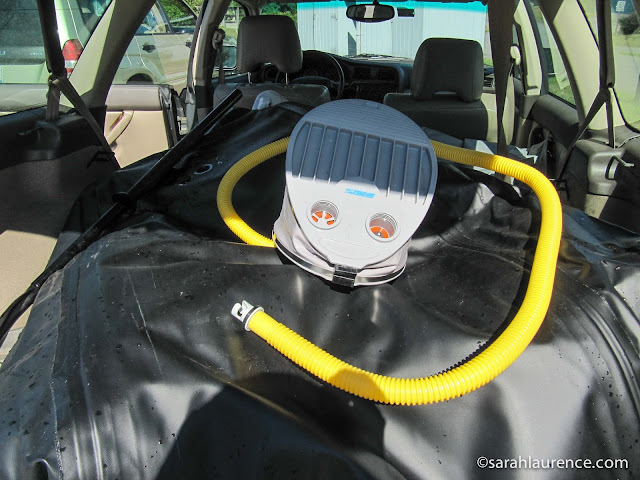 The biggest pain was rinsing off the seawater and finding a place for it to dry out of the sun. 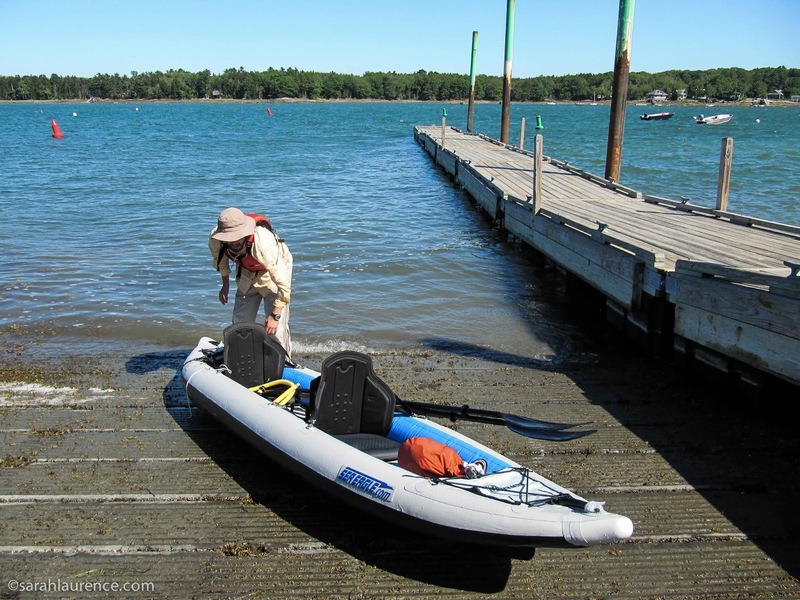 A regular kayak is easier to maintain but harder to store/transport. I'm sorely tempted to buy a second Sea Eagle as an anniversary gift for my husband and me. Our son will be taking his boat, packed in a surprisingly small duffle, to University of California, Berkeley in August. I will miss him and our wilderness adventures. One of the perks of living in a college town is getting to hear great speakers from away. I was so eager to hear Roxane Gay that I lined up on a snowy path nearly a half hour before her talk in March. 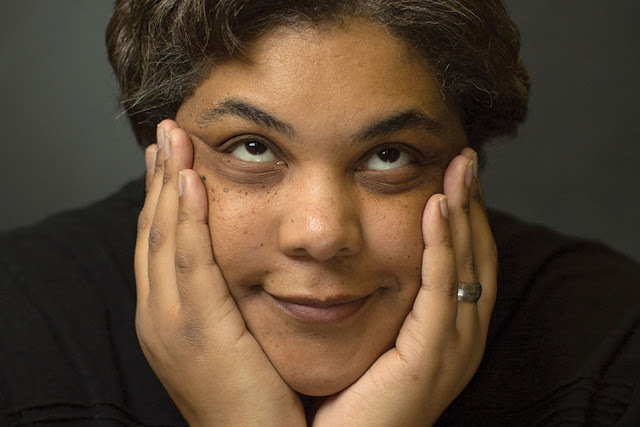 Roxane Gay is the Gloria Steinem for the Millennial generation and very popular with college students. Alas, the theater filled with her fans so I was unable to hear her speak in person. 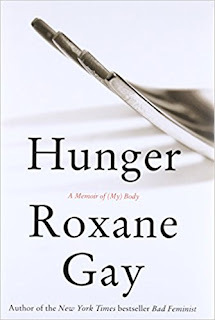 Determined to hear her voice, I listened to Hunger: a Memoir of (My) Body on audiobook. Roxane has a beautiful, warm voice, and it broke my heart to listen to her narration. At age twelve, she was gang-raped by her boyfriend and his friends and told no one out of misplaced shame. To protect her body, she gained hundreds of pounds and built emotional barriers. Her memoir also shows how society punishes "unruly bodies" such as hers. Roxane was further marginalized as a bisexual woman of color living in the midwest, but she found support from friends, family, and lovers. Although Hunger starts with tragedy, it is also an inspiring tale of resilience that teaches empathy. 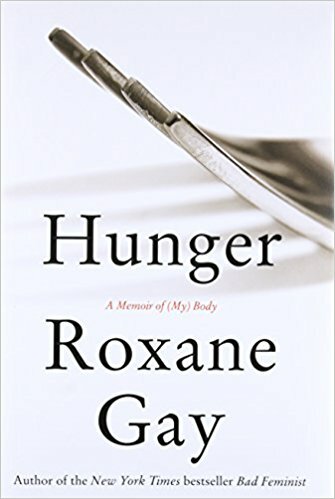 More than any other book I've ever read, Hunger allowed me to experience life inside someone else's skin. I'd recommend this beautifully written memoir to everyone. On audiobook I missed being able to underline her powerful words, but it was more emotionally resonate to listen. I'm looking forward to discussing her work with a savvy friend, who lined up earlier and said Roxane was a marvelous speaker. Thanks, Chryl Laird, for the nudge to read this book!